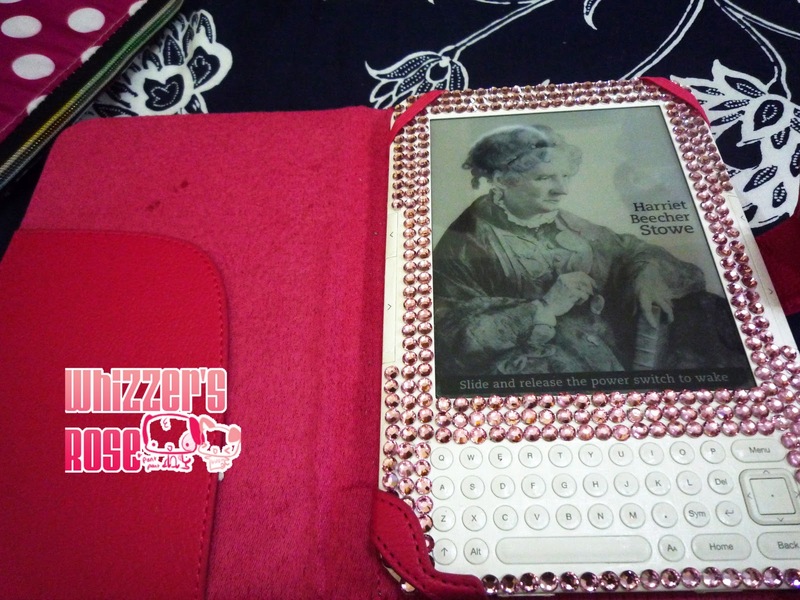 Personalizing one's stuff is just one of the ways a person can express his or her individuality. Aside from this, it gives us a chance to show our creative side. I have since started to decorate my stuff specifically my gadgets. 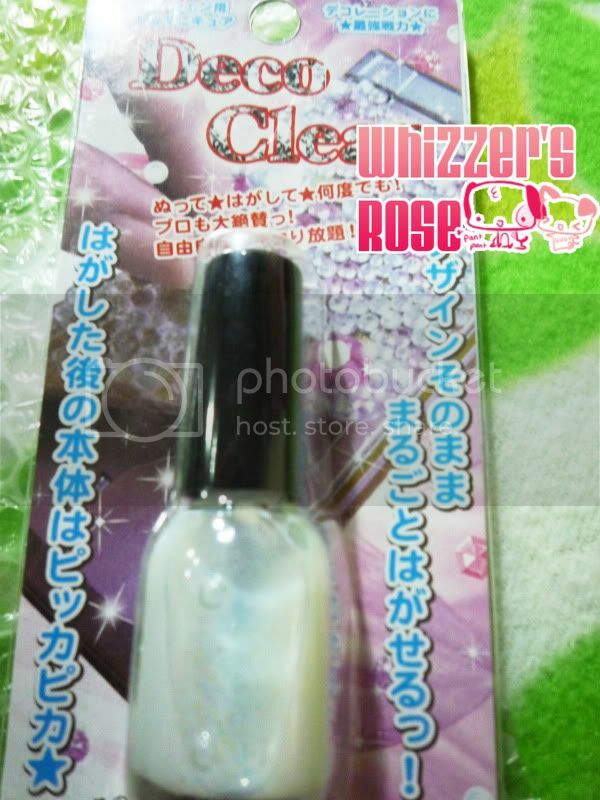 People would ask me why I love to this, as this is not that popular in the Philippines so I have to get a lot of my decoden stuff from international websites. As you can see, one of the main concerns of those who ask me about my decodened ( I actually blogged about this before) stuff is if I can still take them off like if someday, I might want to sell them and a guy would love to buy it but he can't live with a gadget with pink rhinestones what can I do? After several research I have found the best stuff to protect gadgets if you want to decorate them. So far, it's only Strapya that sells this stuff. I have bought three bottles of this already and so far, I'm a very satisfied customer. Strapya is based in Japan but nevertheless, they deliver on time as promised thru reliable EMS (best thing of all, is that you can actually trace your parcel online!). The best thing about this lacquer is that when you apply it on the surface of your gadget, it protects the gadget from scratches or from the glue that you actually use to stick your cabochons. You have to put on at least three coats for maximum protection. If you got bored and wanted to redo your deco, you can actually peel it off like plastic. 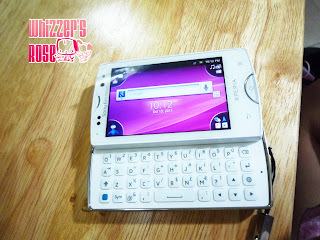 My new Xperia Mini Pro. I've always challenged myself or dared myself to be different. enough accessories that you can find for the gadgets I chose to buy most especially in here. had to resort to cutting a generic one to fit mine.